Want to slim down once and for all? Manufactured in Australia in a HACCP Certified facility. Here’s how you can lose 5-7 kilos in 3 weeks without exercise. Our proven formula combines diet drops and eating plan with recipes & personal support. Achieve weight loss success – FAST! Wondering about the hCG Diet? 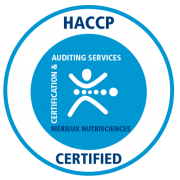 If you don’t know much about the hCG diet, or have never done the program before, we’re sure you’d like to know how it works. Click below for more info! Want to slim down once and for all? Looking for a weight loss plan which is both safe and effective? If you’ve had concerns about your weight, or if you are worried about the way your body shape might be affecting your health, you are certainly not alone. 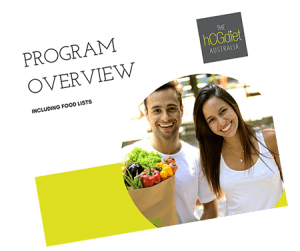 Numbers from the Australian Health Survey found that between 15% and 19% of females and 11% to 15% of males are dieting to lose weight at any one time in the country – representing a significant portion of the population. For many of us, finding a safe and effective weight loss plan which we can really rely upon is a dream. When we lose weight, we want to lose weight on our terms. We want to lose weight with a controlled process we feel comfortable with. We want to lose weight at a rate which suits us, and does not derail our lives. This is where the hCG diet can play such a big part in your weight loss plan – and already is playing a big part in the weight loss plans of thousands of Australians nationwide. The hCG diet is an effective weight loss plan, helping thousands of Australians to shred fat, lose unwanted kilos and get in shape. The weight loss protocol achieves this with no compromise in terms of health, which means that you can be assured that the solution you are connecting with is a safe one. But what is hCG, and how does it work? hCG, or human chorionic gonadotropin, is a hormone which occurs naturally in the body of both male and female and most often in the female body during pregnancy. The hormone functions in many different ways in the body, but perhaps its most interesting function for humans is in the process of fat and weight loss. We all know that a low calorie diet helps us to lose weight. An hCG supplement supports a safe low calories weight loss plan without causing any damage to the body. While other low calories diets may cause bodily weakness and muscle depletion, the hCG weight loss plan targets fat – making the process both safe and effective. Our formula contains active homeopathic forms of amino acids and energy supporting vitamin B12 combined in our unique formula. It provides the ingredients you need to retain your energy and your drive during weight loss, helping you to keep going, and to stay positive on your journey. Clients swear by our weight loss program, and by the benefits of hCG, and we are sure that you will too. Our hCG diet supplements are administered via premium grade Bio Energetic diet drops. Take a look at our product page and find the option which suits you and your budget. Payments can be spread over four separate instalments, making this safe and effective solution available to all, and the total price includes delivery anywhere in Australia. New Zealand postage is $10, while international postage is $25. No need to delay. Get in touch or visit our product page to get started today. I ended up loving the program so much and felt so fantastic on it, that I have restarted on another course of the hCG drops to shift the remaining 4kgs to reach my ideal weight for my height and also encourage my dear friend and colleague with her journey to lose those unwanted kilos. Today I weigh 57 kgs and am feeling fantastic. For anyone who wants to improve their health or just wants to lose some weight I would highly recommend the hCG program. Loved the support I received too. If there’s anything to keep you going on this diet, it’s watching the weight fall off and the scales go down. I can hear you thinking ‘yes, well anyone will lose weight if they eat that little in a day’, but I have tried the super low calorie thing before and, not only was I starving, but I didn’t get anywhere. I never found myself hungry while on your hCG drops. I also did not feel tired or lethargic and some days I felt so good that I wanted to go for a run! I am now at 96kgs – remember where I was? Yes that is a massive 42kgs less!!! My blood pressure is 120 over 82, and I am maintaining well. I have started a vigorous exercise program and am well on my way to achieving my next goal of 90kgs. It is now 5 months since I have started on the program with hCG drops and I have now lost 27.1kgs. More importantly I feel fantastic.